David Behrman has been active as a composer and artist since the 1960s. Over the years he has made sound and multimedia installations for gallery spaces as well as compositions for performance in concerts. Unforeseen Events, My Dear Siegfried, Leapday Night, QSRL, On the Other Ocean, Interspecies Smalltalk, Homemade Synthesizer Music with Sliding Pitches, Figure in a Clearing, Cello with Melody-Driven Electronics, Useful Information, Protests 1917-2004 and Long Throw are among Behrman’s works for soloists and small ensembles. Recordings of his works are published by XI, Lovely Music, Alga Marghen and Classic Masters. Behrman’s sound and multimedia installations have been exhibited in New York, Massachusetts, Chicago, the San Francisco Bay Area, Cologne, Berlin, Linz, Paris and other places. Among the installations are Cloud Music (1977, a collaboration with Robert Watts and Bob Diamond); In Thin Air (1997), Pen Light (2002), and View Finder, most recently exhibited at Stanford University in March 2005. Together with Robert Ashley, Alvin Lucier and Gordon Mumma, Behrman founded the Sonic Arts Union in 1966. Sonic Arts performed extensively in North America and Europe from 1966 till 1976. He toured as composer/performer with the Merce Cunningham Dance Company from 1970 till 1976 and also worked with John Cage during that time on several projects. His association with the Cunningham Company has continued intermittently to the present and he has created music for several of the Company’s repertory pieces. He is currently a member of the Music Committee at MCDC. Behrman has received grants from the NEA, NYSCA and NYFA, and residencies from the Japan-United States Friendship Commission and the D.A.A.D. in Berlin. From the Foundation for Performance Arts he received an Artist’s Grant in 1995 and the John Cage Award in 2004. In 2005 he was a recipient of the Henry Cowell Award from the American Music Center. He has been a member of the faculty at the Avery Graduate Program in the Arts at Bard College since 1998. His most recent CD release: “My Dear Siegfried” (2-CD set on XI, 2005) with performers Eric Barsness, Thomas Buckner, Jon Gibson, Maria Ludovici, Ralph Samuelson, Peter Zummo, and others. Long Throw was one of three works by three composers commissioned by the Cunningham Dance Company as music for the 2007 dance, eyeSpace. Around the time of the commission, in 2006, I was listening to a vinyl double album called “John Cage: Music for keyboard 1935-1948” which I had produced in 1969 for Columbia Records. I was listening to it again because New World Records had expressed interested in re-issuing the recording as part of their Anthology of Recorded American music. Hearing that music again after almost four decades was a fresh re-discovery. I felt close especially to “Music for Marcel Duchamp,” a spare, elegant piece for prepared piano which John Cage composed in 1947. I reflected on the close relationship among Duchamp, John Cage and Merce Cunningham over the decades; on the long, distinguished trajectory of Merce and his Company; and also remembered that my own first music commission for the Company, “Walkaround Time” in 1968, had involved the art of Duchamp. Long Throw has a piano part which includes John Cage’s preparations for his 1947 piece and evokes something of the quality of that music. It also makes use of 21st Century digital technology – music software and sound sensors – and has performance roles for the core musicians of the Company in 2007: Christian Wolff, Takehisa Kosugi, John King and Stephan Moore. In the style I am working with, partially-notated and partially based on interactive relationships between performers and laptop software, my pieces tend to continue to change and develop after they are first made. 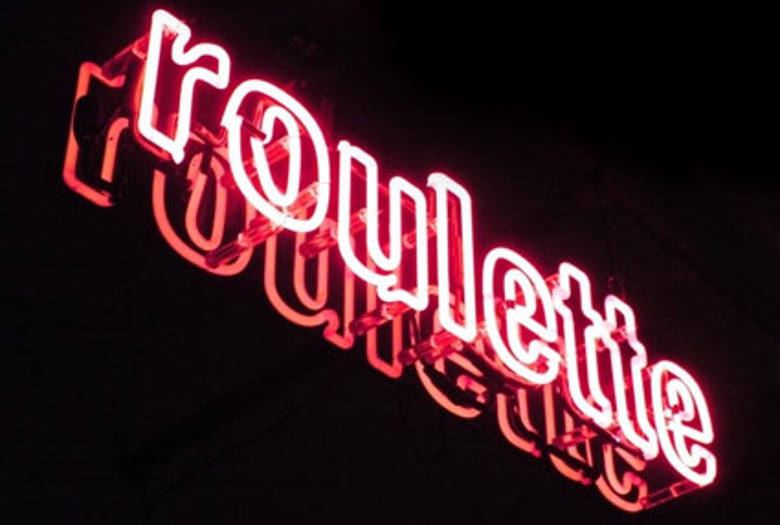 This version for Roulette is partially pared-down (two performers only) and partially newly extended, with features developed in the last several months.